Keri Russell is an American television and movie actress. She began her television career as a cast member of the All-New Mickey Mouse Club where she co-starred alongside Ryan Gosling, Christina Aguilera, Britney Spears, and Justin Timberlake. Keri Russell is probably best known for the television series Felicity for which she won a Golden Globe in 1999. She has appeared in a number of feature films including Mission: Impossible III and Dawn of the Planet of the Apes. More recently, she has appeared as a cast member of the FX Channel's spy series The Americans in which she portrays a KGB agent. Keri Russell's famous kin include a number of American patriots from the American Revolution. These include, but are not limited to, U.S. Constitution signers John Langdon, Nicholas Gilman, Nathaniel Gorham, Declaration of Independence signer John Hancock, and Boston Tea Party participant Amos Lincoln. U.S. Presidential kin include Presidents Abraham Lincoln, Gerald Ford, Herbert Hoover, William Howard Taft, and Franklin D. Roosevelt. 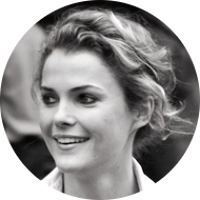 Keri Russell also has family ties to the current royal family through connections with Queen Elizabeth II, Princess Diana, and Katherine Middleton, Duchess of Cambridge. Celebrities in her family tree include Christopher Reeve, Kyra Sedgwick, Sally Field, Kate Upton, Judy Garland, Elizabeth Montgomery, Liza Minnelli, and Tom Hanks. Some of her historically significant kin include Confederate General Robert E. Lee, evolutionist Charles Darwin, explorer Meriwether Lewis, mutiny on the Bounty leader Fletcher Christian, architect Frank Lloyd Wright, and aviation pioneers Wilbur and Orville Wright.